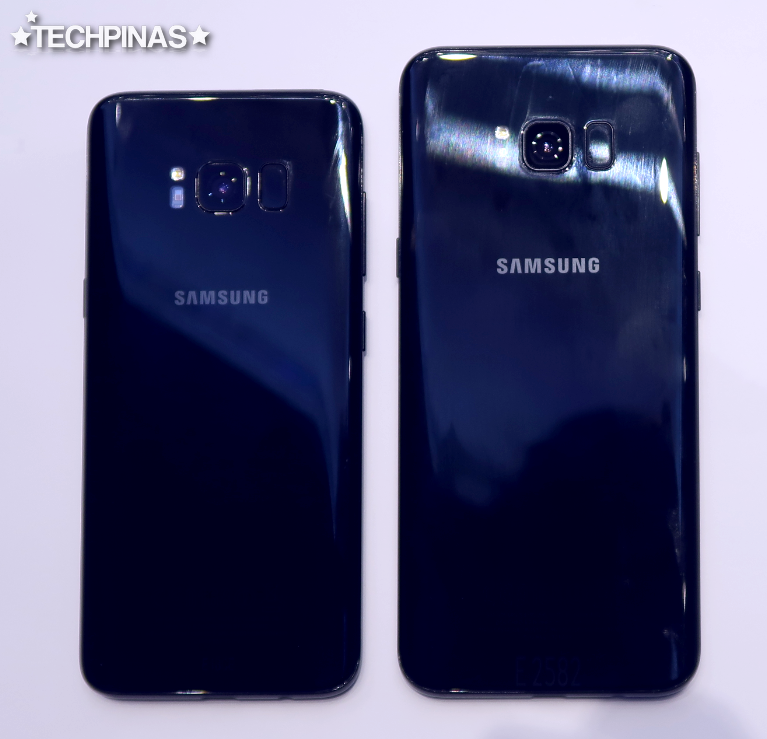 It wasn't too long ago when you could only get expensive flagship smartphones from Smart Communications when you sign-up for their more high-end postpaid plans. This year, however, the MVP-company is pulling off a shocker. Whereas, previously, Samsung Galaxy S-series smartphones were bundled only with Smart Postpaid starting at Plan 999, you can now get the stunning Samsung Galaxy S8 and S8 Plus beginning at - get this - Plan 399! Yup. It's true! Imagine: For just Php 399 plus a monthly fee of Php 1,500 (along with a one-time cash-out of Php 5,000 upon sign-up), you can already own the Samsung Galaxy S8 and enjoy Smart's reliable mobile services -- to be specific, 3GB of mobile data, unlimited All-Net SMS, plus 20 minutes of calls to all networks per month. Want the larger Samsung Galaxy S8+? Well, you can just add Php 1,500/month plus a one-time cash-out of Php 8,000 to Plan 399 under a 24-month contract to get hold of the incredible 6.2-inch top-of-the-line phablet! Update as of April 27, 2017: Smart Postpaid has lowered the one-time cash-out requirement for Samsung Galaxy S8 to just Php 3,000 (from Php 5,000) and only Php 6,000 (from Php 8,000) for the Samsung Galaxy S8+! Kindly share. 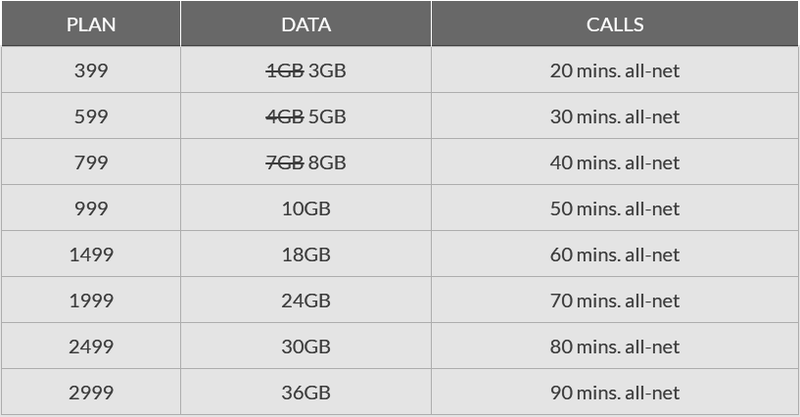 Here's the cool part: You can also get Samsung Galaxy S8 and S8+ simply by adding adding Php 1,500 per month to all of Smart Postpaid's baseline plans, including Plan 599 with monthly 5GB data, Plan 799 with monthly 8GB data, Plan 999 with monthly 10GB data, Plan 1499 with monthly 18GB data, Plan 1999 with monthly 24GB data, Plan 2499 with monthly 30GB data, and Plan 2999 with monthly 36GB data. All of these Smart Postpaid Plans come with built-in call minutes to all networks, unlimited texts to all networks, and free access to popular messaging apps: Facebook Messenger, Viber, and Whatsapp. For those who want to enjoy luxurious, exclusive perks and privileges, Samsung Galaxy S8 and S8+ will also be made available with premium data plans from MVP's high-end brand, Smart Infinity. 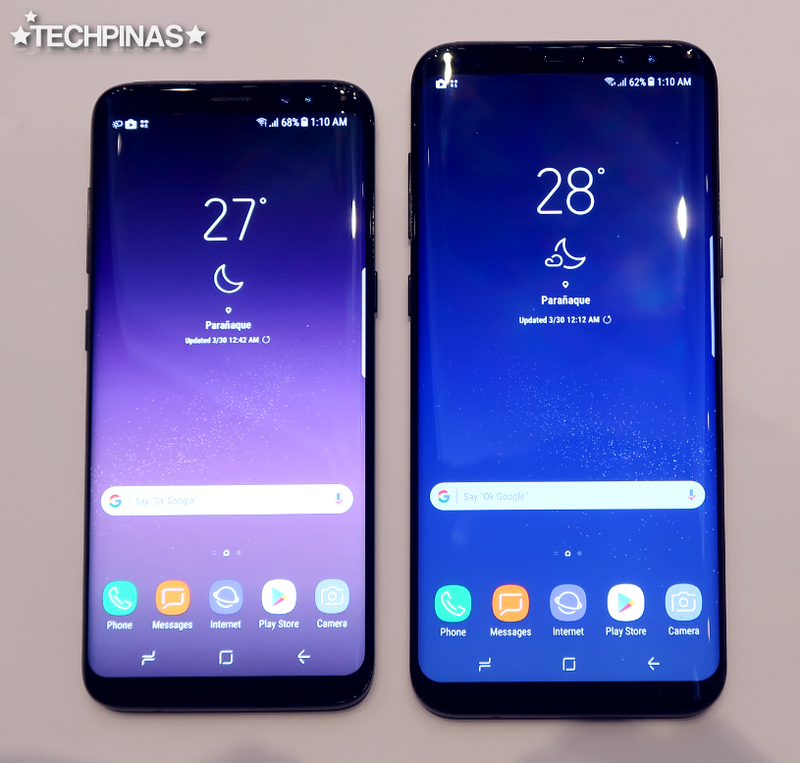 The 5.8-inch Samsung Galaxy S8 and the 6.2-inch Samsung Galaxy S8+ - together - represent the absolute best that the Korean Giant has to offer in the smartphone category for the first three quarters of 2017. Some of the key selling points of these two powerhouse handsets include their stunning QHD SuperAMOLED Curved Infinity Display, sleek glass-metal-glass-sandwich design language, IP68 Water and Dust resistant build, beastly Exynos 8890 Octa processor, 4K video recording capability, 8MP f/1.7 Selfie Camera in front, and industry-leading 12 MegaPixel Dual Pixel f/1.7 camera with optical image stabilization.